After Torsk left the Marianas on 10 September 1945, she made a brief stop in Hawaii, and on 20 September cleared the Panama Canal en route to New London, Connecticut. where she arrived on 15 October 1945. For the next ten tears Torsk was assigned to the Submarine Squadron 8 at the Submarine School in New London, where she trained officers and enlisted men for submarine duty. This assignment earned her the title of the “divingest” submarine in the U.S. Navy as she made dives several times a day in the course of her training activities. 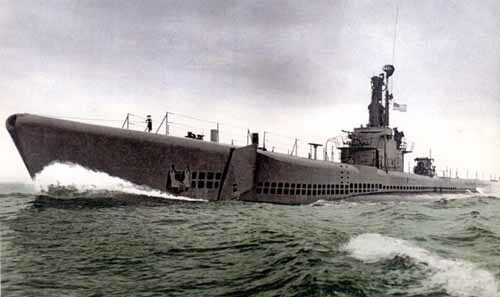 In the course of her training duties, Torsk operated along the entire Atlantic coast of the United States and Canada, as well as the Caribbean. She operated in the Mediterranean briefly from 9 September to 14 November 1950, and again from 26 August to 27 November 1952. During these periods, she participated in joint training exercises with the British, Italian, French, and Turkish navies.